Ryoko was in Ranma 1/2? The Wiki says she made a cameo appearance? Can anyone confirm this? 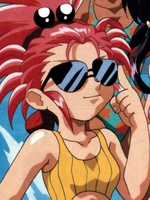 Re: Ryoko was in Ranma 1/2? Does it say which episode? I know that Urusei Yatsura had lots of references and quick cameos of characters from other anime titles (and Hollywood movies). I don't remember Ranma 1/2 having that many, but it may have. Not seeing her in the episode listed there, Does anyone have a timestamp per chance? EDIT: found it, it's right as Ranma kicks the snowman in that episode (time stamp is off because of youtube) I do wonder what the story is behind this? > I do wonder what the story is behind this? Adding Ryoko for a frame to Ranma 1/2? I'd guess it is just a little Easter egg by the production team, who apparently like Ryoko. ya but it was before Tenchi even aired? Perhaps someone from a different animation studio saw the concept art pieces for the show and liked Ryoko's design enough to reference it in the episode? Should we remove the mention from the wiki? No it seems to be her I can't imagine who else it could be, But it would be nice to know the story as to how/why. Where is the confusion? Yes, this episode aired before September 1992; I recall it being around late January that year. The design team for Ranma 1/2 includes folks who worked on Urusei Yatsura in 1991. That particular anime was the precursor IMHO for Tenchi Muyo! 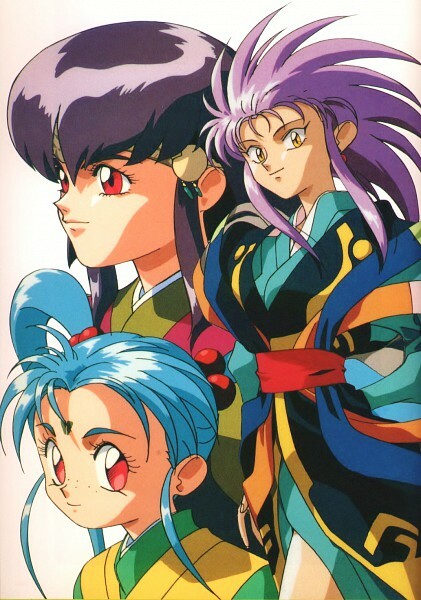 The thing is, does anyone know if Urusei team moved to develop Tenchi afterward? This would really clear things up. It does seem that on her shirt it reads リョーコ, which would coincide with the phonetics of her name.
" リョーコ " the very thing, Ryōko. Holy magicarp.